After a busy day or a long night, time slips away and it can be after midnight before you remember to eat. In your deranged state of hunger you look around at your options. You know there is a McDonalds down the road but you are using your will power to refrain. Surely there is somewhere that is open late for a feed! You Chews has gathered the thoughts of a few chefs, some colleagues in our office and some personal favourites to bring you a few locations of tasty midnight eats in Sydney. 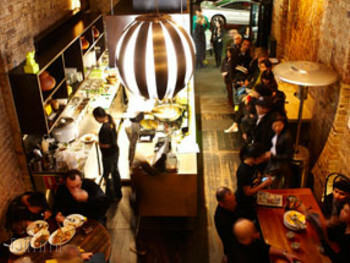 Tucked away in a laneway off Pitt Street, with the idea that all hidden restaurants are gems, Madang can only be good. With traditional Korean flavours and an affordable price point, this small (but always packed) restaurant is worth finding in the wee hours of the night. Inside you will find an extensive list of Korean BBQ options, as well several dishes on the menu. If you are unfamiliar with Korean Food, check out the seafood and shallot pancake, the BBQ meats options and the hot pots are rumoured to be delicious. For those of us who haven’t been to Mexico, a cantina is the next best thing. Who doesn’t think a late night taco sounds like it’d hit the spot? El Loco can offer just that – with the refined flavours of Mexico, and a very late closing hour of 3AM, El Loco can fulfill any number of your late night tacos, quesadillas, tortas and grilled dish desires. There are also drinks and DJ’s on Friday and Saturday night. This burger joint comes bearing the red booths, music and juicy patties from American diners…and slams it all between two 6″ buns! With names like Good Ol’ Time, Lambam Thank You Mam and Don’t Have a Cow, you can only imagine the deliciousness dripping from these burgers. Come, sit and devour one of these burgers. 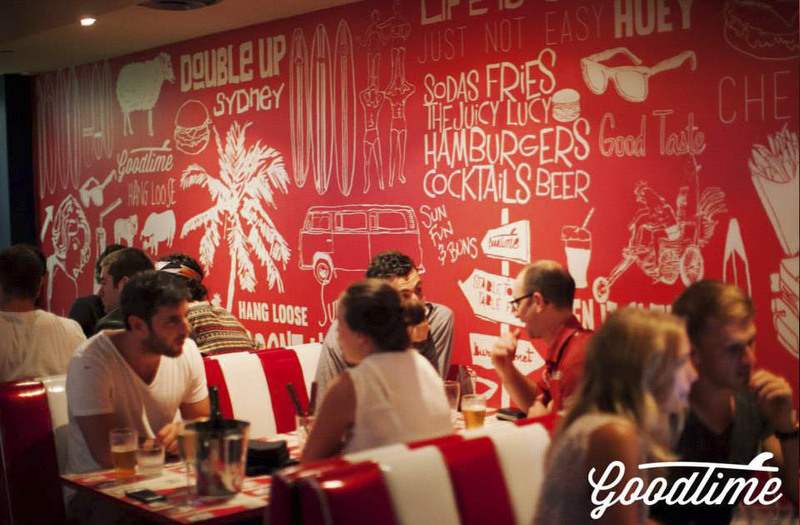 The Eastern has four levels of themed food and booze, so when you finish your night at the bar and head outside for drunken food, head straight back inside to Goodtime Burgers. In the heart of Kings Cross, The Carlisle Bar serves up tapas, rivaling the drunken cheap take-away options nearby. With a menu of Mediterranean and Asian inspired tapas and snacks, these bar treats can easily become a late night meal. How do you feel about beef tenderloin rolled in mixed peppers, BBQ’d and served medium rare with a bourbon jus and garlic crisps? We feel great about it, late night or not! Chat Thai functions like a well oiled machine and will have you in the door and eating delicious Thai food in a short time. That is something you can only say about Chat Thai after midnight, when the lines from the dinner rush have died down and it’s just you and a few other hungry souls. They serve up tasty curries, crispy fried dishes as well as everything you can throw in a wok. Here is my article on WHERE TO EAT AFTER MIDNIGHT.